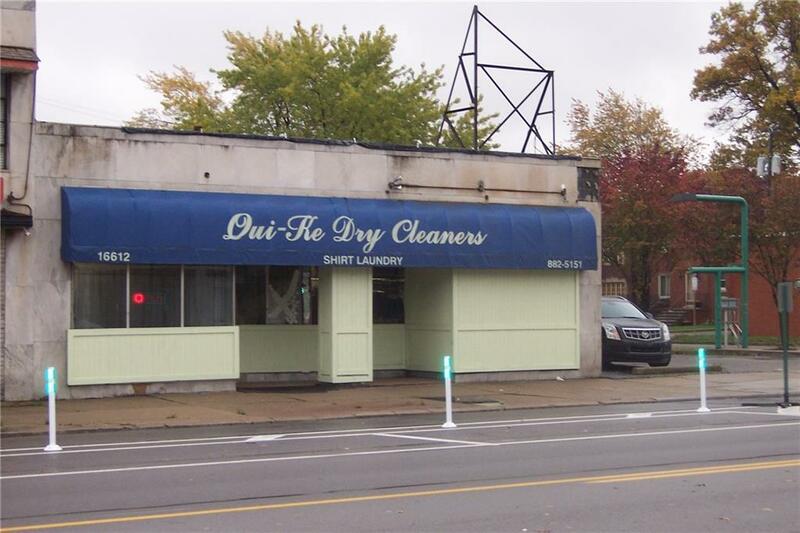 LONG TIME ESTABLISHED DRY CLEANER LOCATED IN E.OUTER DRIVE/CADIEUX NEIGHBORHOOD. EXCELLENT BUSINESS OPPORTUNITY WITH BUILT-IN LOYAL CUSTOMER BASE. HIGH PEDESTRIAN TRAFFIC DRIVES BUSINESS TO YOUR DOOR. ADJACENT TO THE GROSSE POINTES WHERE THERE IS PLENTY OF SHOPPING AND RESTAURANTS. RETIREMENT FORCES OWNER TO SACRIFICE THIS THRIVING LOCATION TO SOMEONE WHO WILL CONTINUE THE TRADITION OF PROVIDING OUTSTANDING SERVICE AND CIVIC COMMITMENT OF THE HIGHEST QUALITY. COMES FULLY EQUIPPED AND OPERATIONAL THE DAY YOU CLOSE. HERE IS AN EXCELLENT CHANCE TO BECOME YOUR BOSS. Listing courtesy of Arterra Realty Michigan Llc.